National Association for the Education of Young Children (NAEYC) is the oldest and largest professional organization dedicated specifically to the education of young children from birth to age 8. NAEYC is an internationally recognized source of expertise on early childhood education. The organization publishes two journals. Young Children is a research Journal about early learning and classroom practice. Teach Young Children (TYC) is a hands-on guide to support teachers with ready-to-use curriculum ideas and classroom strategies for best practice. NAEYC also sponsors two national conferences each year. The annual conference is for the field as a whole, while the Professional Development Institute (PDI) is specifically aimed at teacher preparation and professional development. NAEYC offers online resources for early educators, for parents and families as well as for teacher preparation programs. The Council administers the nationally recognized credential for early educators known as the CDA. The CDA is based on a set of core standards that describe the knowledge and skills that early educators need to master in order to provide high quality programs for young children and their families. The Council website provides informaton and resources to support early educators on a path to professional practice inlcuding an online newsletter. Strategies for Children (SFC) is a Massachusetts based advocacy organization focusing on young children from birth to age 8. SFC works on state policy, advocacy and research to support high quality early education, to ensure that children enter school ready to succeed, and to support strategies to ensure that all children achieve third grade reading proficiency. 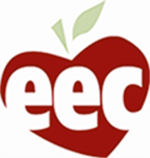 SFC sponsors the Early Education for All Campaign, publishes the Eye on Early Education Blog, and shares research information and community facts. This is a great place to go for news about Massachusetts budget, policy, and initiatives aimed at making high quality early education available to all children. Strategies for Children won the 2014 Excellence in Advocacy Award from the Massachusetts Nonprofit Network. Child Care Exchange publishes a professional journal for early educators and child care progarm directors. They also publish books and professional development resources for early educators. Exchange Every Day is a daily online blog sharing information on current issues from field experts and authors. The Birth Through Third Grade Learning Hub focuses specifically on community strategies to improve learning and development of children from birth to third grade. The website "tracks, profiles, and analyzes" birth-to-third initiatives in order to "promote learning, exchange, and knowledge-sharing across communities." To check out new research papers and see the list of topics associated with building better birth-to-third-grade alignment, visit the Hub. This site provides a wealth of information on current research and research-based best practices aimed at changes to policy and practice that will support the healthy development of vulnerable children. Highly regarded as the source for new understandings about the development of brain architecture, research and promising practices shared here provide evidence for the critical importance of caring and nurturing early relationships within which all learning and development unfolds. "The mission of the Center on the Developing Child is to drive science-based innovation that achieves breakthrough outcomes for children facing adversity."